I can just hear my husband rolling his eyes at the title of this recipe, but I couldn’t help myself. I had searched for a long time and tried many homemade mac and cheese recipes, but they didn’t satisfy what I wanted. 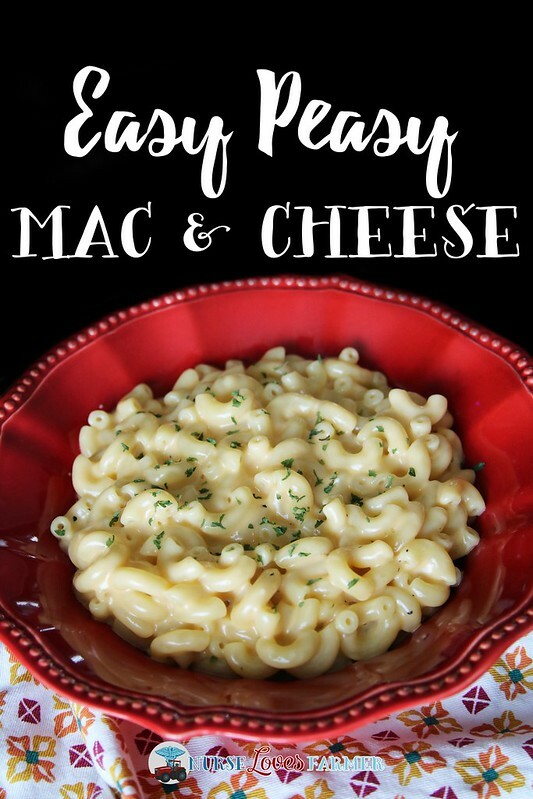 I wanted something easy, simple and with stuff I’d always have in my home in case I craved easy homemade mac and cheese over the boxed variety my kids still prefer over mine. Can’t win them all! Then one of my good friends Alisha posted her mac and cheese recipe a few years ago and I fell in love. I’ve simplified it even more (sometimes I get REALLY lazy in the kitchen and just want to eat the food vs. go the extra mile to prep it!). Get some salted water boiling in a medium-sized sauce pan and cook the elbow macaroni until desired tenderness. I find that 2 cups isn’t quite enough and it makes this recipe rather saucy, which is just fine, so I usually do heaping cups and it works perfectly. While pasta is cooking, melt butter or margarine in a sauce pan over medium low and once simmering nicely, add in flour and whisk constantly until thickened, making sure that it doesn’t burn. Slowly add 1 cup of milk and turn up heat to medium. Stir frequently until thickened. Remove from heat and add in cheese; stir until melted and add your hot sauce in and salt and pepper to taste. Drain pasta when cooked, add into sauce and give a good stir. Easy peasy mac & cheesy. What more is there to say? 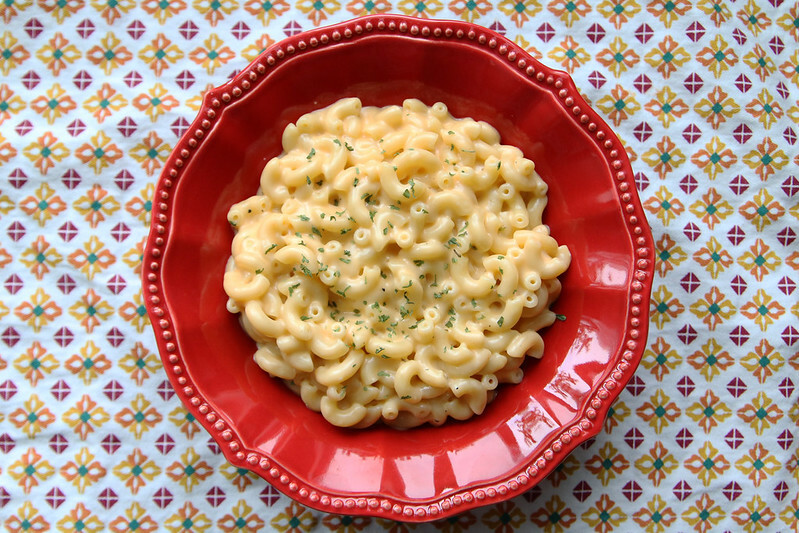 A really bare-bones recipe of homemade mac and cheese goodness. No baking or chopping required. Boil salted water in a medium-sized sauce pan and cook the elbow macaroni until desired tenderness. I find that 2 cups isn't quite enough and it makes this recipe rather saucy, which is also just fine, so I usually do heaping cups and it works perfectly. While pasta is cooking, melt butter or margarine in a sauce pan over medium low and once simmering nicely, add in flour and whisk constantly until thickened, making sure that it doesn't burn; 2 minutes or so. Slowly add 1 cup of milk and turn up heat to medium. Stir frequently until thickened. Remove from heat and add in cheese; stir until melted and add your hot sauce in and salt and pepper to taste. Feel free to add in anything you’d like to fancy this up, this is truly an easy peasy bare bones recipe that’s super quick to throw together. 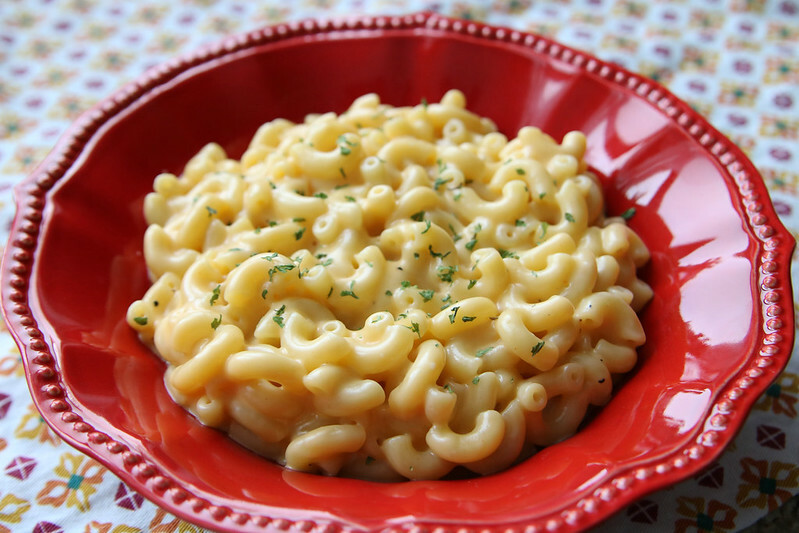 I’m certainly no mac and cheese expert, but this satisfies my cravings!